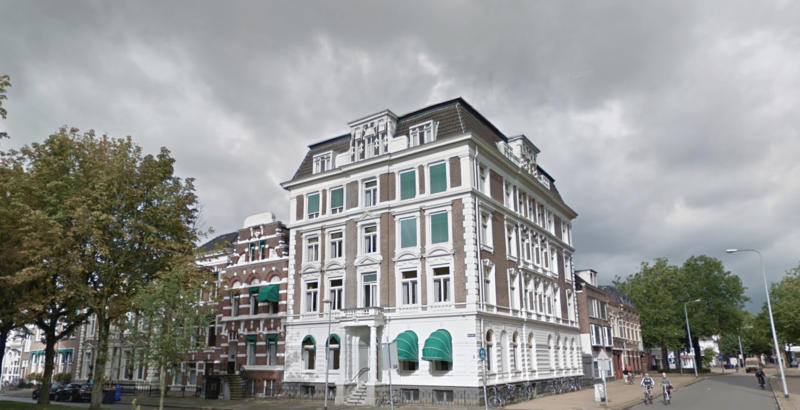 International students living at the former retirement home on the Heresingel were unpleasantly surprised to discover security cameras set up throughout the building. The Rikkers-Lubbers building, which used to be an assisted living facility for the elderly, was converted into students housing over the summer. StudentStay, a short stay housing agency that specialises in student accommodations, rents out the building and has installed security cameras in the common spaces. Dagblad van het Noorden reports that the cameras have been hung up in response to noise complaints from the neighbours: 20 home owners living in the vicinity of the house filed a formal complaint in September, hoping to get the building’s residential status revoked. There are 56 students currently living in the historic building, and dozens of residents who live near the property claim that the student tenants are a nuisance, citing cigarette smoke and noise issues. StudentStay has reportedly sent strongly worded emails to the students warning them that the municipality may kick them out if they make too much noise after 10 p.m.
Students who live in the building say that the complaints against them are unfounded, insisting that they were only provided with house rules a month after moving in. The students also say that StudentStay has been unresponsive to their own complaints about poor wifi connectivity and the fact that some rooms in the facility had no doors. Members of student political party DAG in the University Council at the RUG posted on Twitter that the cameras are an invasion of the students’ privacy. DAG cites the lack of tenant protections granted to students living in short stay accommodations as a loophole being abused by the building operators.